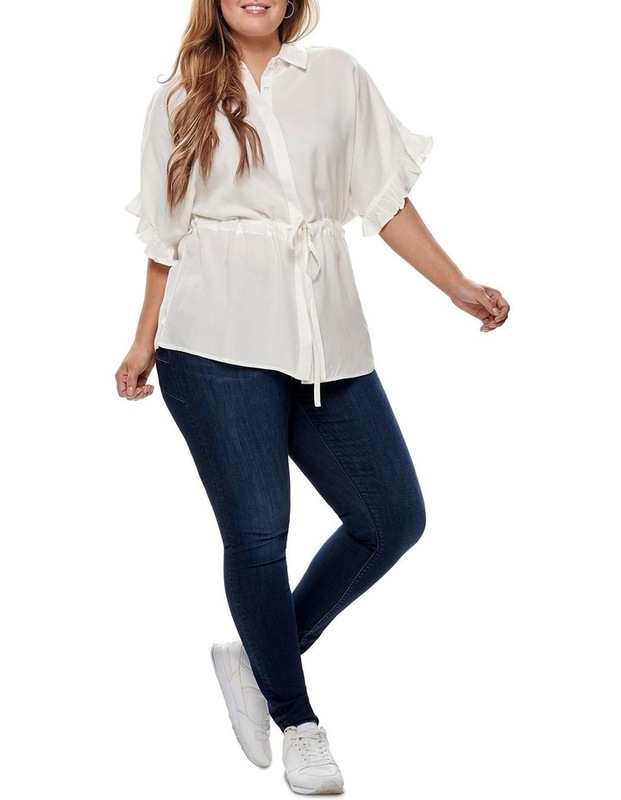 Ladies Woven Oversize Shirt With Short Sleeves. 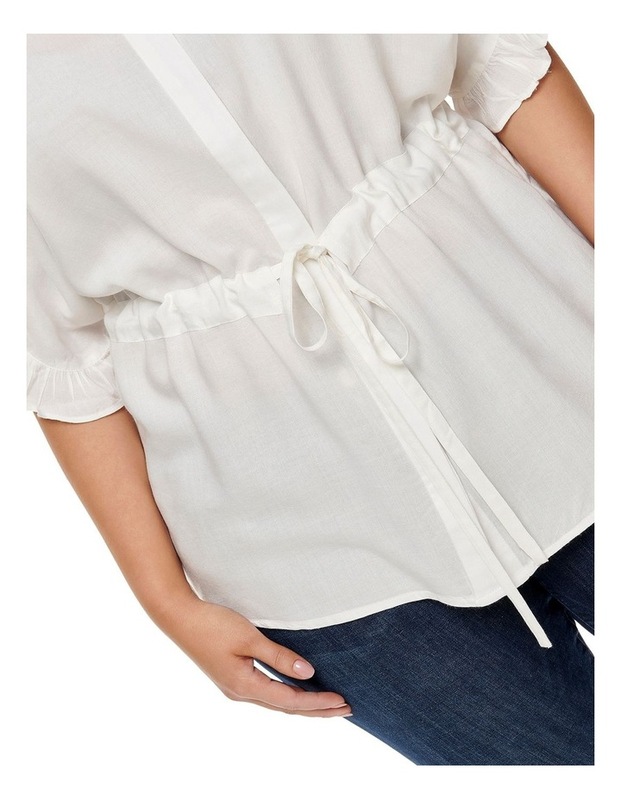 Frill At Sleeve End. Belt In Shell Fabric For Waist. Fully Open Front Closed By Buttons In Matching Colour. Straight Bottom Composition 100% Viscose.